It is long overdue that I honor, on my featured artist page, two very close friends who also happen to be extraordinary artists. For 35 years, I’ve developed a close personal relationship with a pair of exceptional jewelers, Yazzie Johnson and Gail Bird. I was actually one of the first dealers to work with these two, and I hold them quite dear to my heart. Back in 1977, a year into my Indian Tree Gallery in Chicago, I first met life and collaborative partners Johnson and Bird. I was so taken with their work because it was unlike any I had seen before. Right on the spot, I purchased $700-$800 worth of their jewelry. Later, Gail would tell me that it was their single largest sale to date. Once I returned to Chicago with their jewelry, it sold very quickly. The following year, we did Yazzie Johnson and Gail Bird’s first gallery show at The Indian Tree, and we continued to do annual shows in Chicago until The Indian Tree’s 1983 closing. Once I moved to Santa Fe, Yazzie and Gail began to join me on my annual field trip, adding their expertise to our participants’ understanding of Southwestern jewelry-making along with a lot of extra fun. In fact, our trips would not be the same without Yazzie and Gail accompanying us. One thing that sets the award-winning jewelry of Yazzie Johnson and Gail Bird apart is their use of exceptional and unusual stones that bring various colors and surface patterns with a wealth of visual interest. They are not confined by the stones that are traditionally seen in Indian jewelry like turquoise and coral but instead pull from a range of fine stones like chalcedony, drusy quartz, and ammonite. They’ve even taken to using stones pre-cut by the finest lapidarits as in this exceptional black onyx pendant necklace. The resulting jewelry has a look of contemporary elegance that is as wearable in New York City as it is in the American Southwest. Always creative, Gail & Yazzie also like to use matching stone types that are unequal in size. For example, a pair of earrings might have two sparkly drusy quartz stones, but one of the stones might be larger or wider than the other. To make up for this difference, Yazzie will extend the gold the stone is set in so that the dimensions of the earrings are the same. This provides something extra to the well-designed, well-executed jewelry. Along those same lines, Yazzie and Gail are masters at creating asymmetrical perfection. Notice this pair of black onyx earrings. Do you see how gorgeous asymmetry can be? Finally, it is important to note that while Yazzie Johnson and Gail Bird’s jewelry frequently pushes the boundaries of American Indian jewelry, it is not without an appreciation for the historic past. Their designs are often inspired by petroglyphs and certainly tie the past to present. Just as Charles Loloma was known for inlaying beautiful stones in the inside of his jewelry, Yazzie Johnson and Gail Bird frequently overlay complex scenes inspired by petroglyphs on the reverse of their buckles. Notice the bird on the reverse of this agate buckle. It is an adornment that no-one but the wearer knows is there but a beautiful composition nonetheless. Very important to Gail and Yazzie is the use of their signature or hallmark. Items have recently appeared for sale as their work that simply were not done by them. Therefore, I promised Gail that I would write a bit about the evolution of their hallmarks. 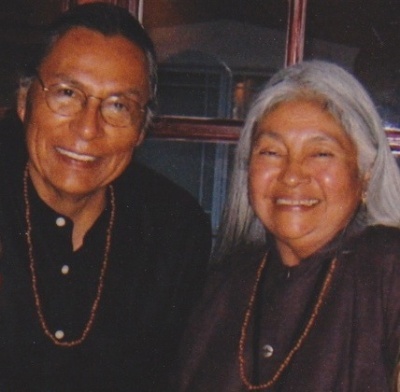 Their earliest hallmark began in 1973 when Yazzie Johnson began marking his work with a “Y”. A decade later in 1983 is the first use of the G/Y hallmark which looks almost like a circle (the G) around a “Y”. Study their current hallmark carefully, for that’s what more recent jewelry by Gail Bird and Yazzie Johnson will be signed with. 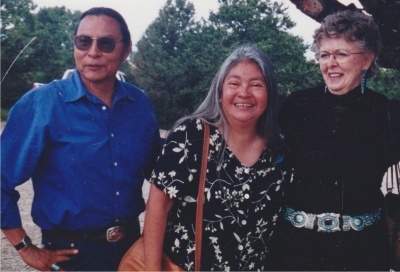 In 2007, an excellent book was written on Yazzie Johnson and Gail Bird. It is entitled “Shared Images: The Innovative Jewelry of Yazzie Johnson and Gail Bird.” I was honored to write the Foreward for the book, which goes into even greater detail about my relationship with Yazzie Johnson and Gail Bird. I hope that you enjoy my presentation of some jewelry by these very special artists and friends.